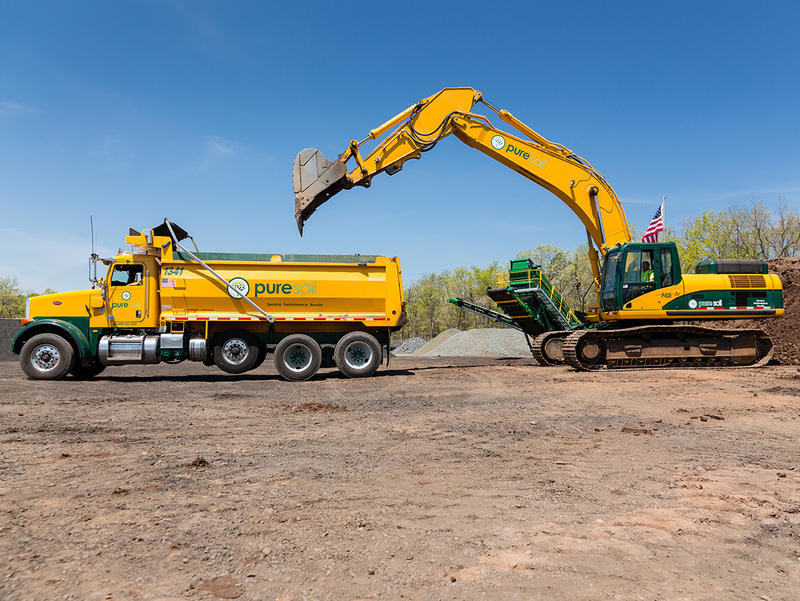 Pure Soil continues to provide innovative, responsible, turnkey, liability free recycling of petroleum contaminated soil, broken concrete, asphalt, brick, rock, and block. We pioneered the processing of these materials in New Jersey and we are committed to continuing to lead this industry.Our knowledge of this material and the various end markets for it, allows us to take a macro perspective on the recycling process and see these products for what they can be. With an emphasis on customer satisfaction, our professional staff makes a priority of helping our customers manage these materials in a cost-effective and responsible manner. Pure Soil is focused on being the best alternative for recycling petroleum contaminated soil, broken concrete, asphalt, brick, rock and block. We will accomplish this with a commitment to provide our personnel with the tools, training, and opportunity to be leaders in the industry and continually looking for innovative ways to treat these materials in the most responsible and cost effective manner. We will continue to ally ourselves with our customers and partner our strengths with theirs, to provide the market place with turnkey service that will take materials from waste products to valuable end market materials.